Colin Leys is an honorary professor of politics at Goldsmiths College London, and former Professor of Politics at Queen’s University in Kingston, Canada. He is co-editor of the current Socialist Register, Morbid Symptoms: Health Under Capitalism (2010). 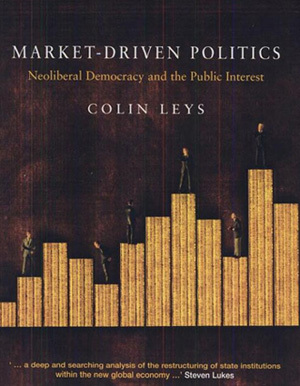 Another of Colin’s recent books is Market-Driven Politics, a close examination of neoliberalism and state policy. Edward Lewis, of New Left Project, where this interview originally appeared, spoke to Colin about some of the themes from his recent books and their relationship to contemporary developments. Edward Lewis: First of all can you explain to us what you mean by the term ‘market-driven politics,’ and can you explain the primary forces that have been driving this process. Colin Leys: I use that term to mark the dramatic change that the de-control of capital meant for a country like Britain – or almost any country other than the United States. With the removal of capital controls, once capital could move where it wished to, governments ceased to have control of the direction of investment, or the terms on which investment is made, making politicians responsive more to the bond markets than to their electorates. This puts political parties in office in a new and complicated position vis-à-vis the electorate. I had seen that happening in Africa where ex-colonial states, very poor and very dependent on external capital, were constantly having to adapt what they said in public, and what they did in practice, to external forces, and it seemed to me that that would be likely to happen to all countries once capital could go where it wanted. Capital would be much in demand and would be able to set the terms with nation states.That was the hypothesis that led me to start working on Britain – the work that led to Market-Driven Politics – and when I’d done it, I thought the term fitted. While the primary force is capital’s freedom of movement, of course once that’s set up all sorts of agencies and mechanisms come into operation – for example, credit-rating agencies, which notoriously contributed so much to the current financial crisis. Similarly, the absorption of politicians into the global social and intellectual circuits that are characteristic of a global market system, so that meetings like the Davos conferences, for example, become driving forces of domestic politics. And you see it extremely clearly now (in the current election campaign) in the reluctance of the leaders of any of the main parties – with the only partial exception of the Liberal Democrats – to talk seriously about what’s to be done about the banks, about finance, about regulation. This is because they see Britain as so dependent, because of the special role of the City of London, on what the capital markets say and think. EL: When did the removal of capital controls start to occur in Britain? CL: It started soon after Thatcher took office in 1979. She de-controlled capital movements in 1980 or 1981, and the consequences of that have been unfolding ever since. The minute the controls were lifted there was a massive outflow of capital from Britain. Subsequently there was a massive re-flow of capital back in, but on different terms. The government could no longer require capital to be invested in Britain, it had to meet the requirements of the capital markets. The huge subsequent inflow of foreign direct investment to Britain came in on the basis of, among other things, the decision of New Labour to make the Bank of England independent, which meant that the bond markets could be assured that their investments would not be inflated away. As soon as you do that a whole range of social policies can only be undertaken with the permission of the bond markets – they have to be satisfied that the effect of spending more money on social security won’t be to generate inflationary effects which will affect the long-term return on their investments. The range of effects that followed, directly and indirectly, from capital mobility, is vast. 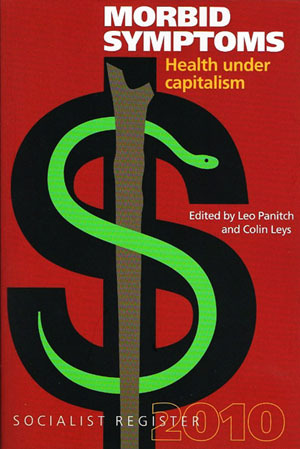 EL: In your book you also describe some other factors which you portray deepening the process off the market-driven nature of politics in Britain, such as ideology and the power of corporate lobbying. I was wondering if you could talk about each of those. CL: I’ll take the second first. I was very interested the other day to see an interview with Gordon Brown in which he said, ‘yes we should have regulated the banks more but when the crisis broke and we looked at the question of regulation, we were so heavily lobbied that we didn’t do it.’ Now that is a remarkable statement for a prime minister to make: I mean, it is very hard to imagine any prime minister in the first fifty years of the 20th century acknowledging the overriding power of financial capital so explicitly. So yes, lobbying is hugely important, and there was always a lobby. But to understand what’s changed, it’s interesting to read books about pressure groups. Wyn Grant and other people have written about pressure groups in the past, and employed a notion that there was a range of pressure groups, and they had different sorts of access, and the civil service looked at them in terms of their relative importance for the topic in hand, and they’d have consultations and so on. That scene has totally changed: the presence in Whitehall of corporate representatives – the senior executives of individual multinational companies, not PR men for trade associations – is massive. The recent brilliant ‘sting’ by Channel 4, which showed former Cabinet Ministers, including Patricia Hewitt and Geoff Hoon, and several ex-junior ministers, offering their services as lobbyists, showed the other side of the relationship. They thought they were offering an American consultancy organization the chance to pay them to use their inside knowledge of government, and it seemed to them completely appropriate that they should be doing so. They had no shame in doing this. 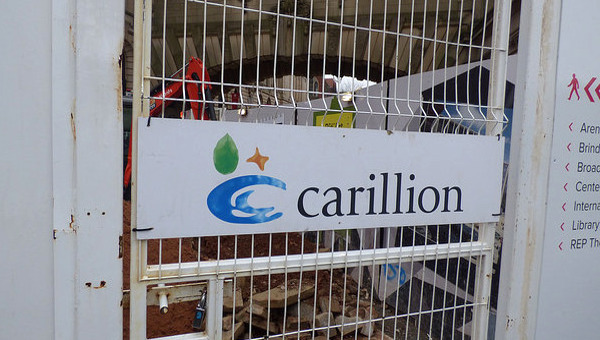 The phenomenon of the ‘revolving door’ between the state and corporations, through which companies recruit ex-ministers and top civil servants, which used to be very notorious between the Department of Defence and the arms industry, has now become a universal relationship. Senior corporate executives expect to have access to the relevant cabinet minister, and finance directors expect to have access to junior ministers. There is really a huge interpenetration. So I think it’s not so much that lobbying is an influence, as that the private sector has become embedded in the state. EL: And the state has welcomed them in? Because it sounds as though as they can’t get so embedded without being invited to, when it’s this kind of process. CL: Once state policy becomes one of transferring activities from state control to private control – outsourcing in its broadest sense – then automatically the corporations to which work and services are outsourced become part of the state – necessarily so. Their presence in policy-making becomes unavoidable. And so it becomes a routine. The most famous example in my experience was when the Department of Health took the first steps in outsourcing NHS clinical work to the private sector, giving the private sector NHS patients on a systematic basis. They created a Commercial Directorate in the Department of Health. In 2006 it had 190 staff, of whom 182 were recruited from the private sector, and so Richmond House – the headquarters of the Department – became a base for the private sector. And that was only an extreme example of something that’s happening on a steady basis. KPMG, for example, has a number of clients in government, which are basically departments of state, which are among its main sources of income. So the embrace is very close. As for ideology, a very important shift took place, which sometimes produced a conversion to monetarist and neo-conservative thinking on the part of people who had been active campaigners against it. It was very obvious in the top ranks of New Labour. There was a sort of cognitive dissonance: to be a policy maker in government after the end of the 1980s and oppose the close relationship with the private sector, oppose privatization, oppose outsourcing, oppose the deregulation that was demanded across the board by business at all levels, oppose the running down of the capacity to collect taxes from business, while expanding resources for preventing abuse of the welfare system – to go on opposing all this, and feeling opposed to it, became increasingly uncomfortable, psychologically and in practice. It just became difficult first of all to be accepted within policy-making circles, and by the prime minister, and secondly just personally very uncomfortable, to day after day be confronted with something they didn’t like. I think people either left government, or they changed. They gradually became persuaded that after all, either it was the only game in town, so you had better live with it, or in some cases that it was, after all, really a good game. Some people were of course easily converted. Patricia Hewitt’s an interesting case in point. I don’t think she was ever a socialist, but after initially running the civil liberties association, Liberty, and then moving to work for a private sector consultancy company she was recruited to create the IPPR (Institute for Public Policy Research) and work with Kinnock when he was leader of the opposition in the late 1980s. But ten years later she’d become a serious neoliberal. EL: You have studied the upshot of the processes we’ve been discussing and their impacts on public services, in particular the health services and the BBC. Could you talk a bit more about what it means to have public services under market-driven politics? CL: The main thing is a shift in the focus of the management of public services; on the one hand through outsourcing them directly to private providers, and on the other hand, through restructuring state-provided services on the model of private business. In both cases the driver of what happens shifts from a consideration of need, of goals that are set by politics, to ones that are set by economics. For example in hospitals, prior to Thatcher’s reforms, so-called consensus management meant that the senior medical staff of hospitals worked with the administrators to manage the hospital budget; and though there were many problem with that – there are problems with all kinds of management – it meant that the needs of patients, the requirements of better medical care, were the starting-point of decision-making. Once you had the control transferred to managers, managers set to run hospitals on business lines, the starting-point changes: services come to be looked at not in terms of the degree of priority of the need for them, but whether that need is matched by sufficient income. And if it isn’t, the service will be withdrawn – that’s the market model. Right now in London it’s proposed to run down a series of hospitals, such as, for example, the Whittington Hospital in North London, and turn it into a so-called local hospital with minimal specialist services; the claim is that this will be a rational way of improving the quality of care, while also cutting costs. But there is no evidence that it will improve care; or even that it will save money unless it means services being withdrawn. From the point of view of all the patients now served by the Whittington Hospital it will mean a dramatic deterioration in services. Of course the plan is now being justified as being overtaken by the debt crisis, and the need to save costs, but it was planned well before the financial crisis. These ideas are not post-crisis ideas. So that’s the fundamental shift: a different way of looking at services emerges, which is market-driven. 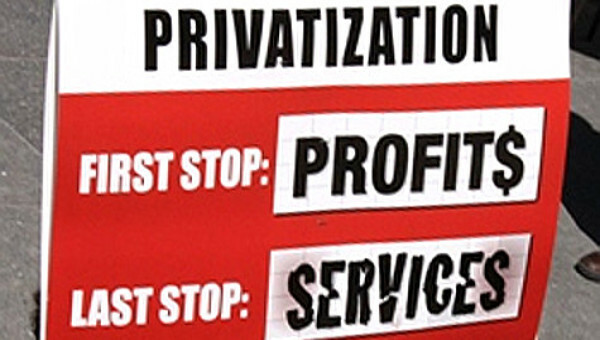 And of course when a private company starts providing public services, it is driven by ‘shareholder value’; the services it takes over are a means to that end, so both the extent of the services and the quality of them will be governed by the need to maximise profits and the company’s share value, within whatever terms are included in the contract. And ensuring that the quality provisions of a contract are actually met is an extremely difficult and expensive business, so cutting quality – especially by using fewer and less well trained staff – to save costs becomes relatively normal. Examples of this in private long-term care homes for frail elderly people are too common to mention. We are soon going to see it in privately-provided hospital care for NHS patients. EL: Going back to the opposition you set up between services driven by politically-determined needs, and those driven by economics and profit: defenders of the latter kinds of services would say that it only makes sense to try and match the financial resources that we have to the provision that we can offer. We need a system that is cost-effective – whether in a time of crisis and recession or not, state expenditure is high and must be carefully monitored. Also, what about considerations of accountability, doesn’t this process become more accountable when we have targets in place that can be verified and checked and so on? CL: Well there are several things combined there. First, the assumption that for-profit provision is cost-effective needs evidence, and this is not forthcoming in any of the cases that I have looked at in healthcare, and I’m very doubtful about it in the field of broadcasting too. We need to ask, how can services that depend, for good quality, so heavily on skilled labour, be offered more cheaply without a decline in quality. In healthcare, is private provision cost-effective if the quality of care and the range of services provided remain unchanged? Very doubtful. All the evidence we have comes from the United States, and it tells in the opposite direction. For-profit provision there is more expensive, not cheaper. There are huge costs in operating a market – huge transaction costs involved in contracting with providers, monitoring contracts, fighting lawsuits, billing, accounting, advertising – for-profit hospitals in the U.S. spend a third of their income on these costs, and that’s not counting the cost of the huge health insurance industry. In the field of broadcasting what is clear is that cost-efficiency measured in terms of financial returns versus costs, is not compatible with the maintenance of ‘public service’ broadcasting. You can make more money with a service that is cheaper to make, but worse at fulfilling goals other than cheap entertainment. That’s very obvious in the field of television and, to a perhaps lesser extent, radio. I just think the idea that private provision is more cost-effective – an assumption that the private sector naturally spends a fortune promoting, and that politicians have bought into for the last 30 years – is really problematic. EL: It’s a powerful presupposition, though, isn’t it? It’s got a lot of traction and is pretty much embedded in political culture. CL: I would say it is, yes, and one of the interesting things is how little critical attention it has received; and that in turn has a lot to do with the way the academic community has been enlisted within this frame of thought. EL: So it’s really an article of ideological faith. CL: I think it has become one of the most seriously under-examined articles of religious faith of our time. That’s how I see it. And as for accountability, well really democratic accountability and markets are mutually antithetical. A market is supposed to function on price-signals: people buy what they want, and if they don’t like what they’re getting they won’t buy it. That’s a sort of accountability. But in the field of public services this is not true. The vast majority of people have to take the services offered, because they’re absolutely dependent upon them. Once the service has become poor enough, people with money will find some other way of meeting their needs, and you will get a two-tier or alternative system. We already have that in medicine. I’d put quite a lot of money on that becoming much more marked over the next ten years. So accountability through the market means accountability for the affluent. What’s also very striking is that in the health field, as market mechanisms have been introduced, successive reforms have closed down such democratic accountability as there used to be. The Community Health Councils that were set up in the 70s, which represented local communities and were staffed and empowered to monitor local health services, were abolished by New Labour. They were replaced by Patient Forums; now instead of it being the community that looked at the services that were being offered, it was only patients, and they had no effective resources to look at them with. Now Patient Forums have been replaced by a still weaker system called LINKs (Local Involvement Networks). These basically amount to a chance for local people to meet, under government-provided, tutelage, and merely comment on things. Serious democratic accountability was clearly not wanted. Furthermore, when a growing part of the budget of the NHS budget for clinical care is being spent on treatment commissioned from the private sector it ceases to be accountable at all, because under conditions of so-called commercial confidentiality the accounts are not made available in the form that they used to be, for public examination by the public accounts committee, and by the National Audits Office. And so actually, no, I think accountability is not increased when public services are privately provided. I think it goes out of the window. EL: Can you tell us about the relationship that you think there is between the financial crisis and the processes we’ve been discussing? Has the crisis made politics more market-driven, or has it provided space for any of these processes to be undermined? CL: A very interesting question, and I don’t have a clear answer. My inclination is to say that in the short-run it has accentuated the impact of markets on politics. In the long-run I think the crisis may – hopefully will, and even perhaps must – mark the beginning of a shift in a different direction. In the short run, the expenditure of a mass of taxpayers money on preventing the crisis closing down the economy means that we are all being told that we spent all this money and we’re going to have to pay it back, and therefore cuts in services are required; so the short-run impact of market driven politics in reducing the scale of state operations and so on is going to be aggravated, that’s very obvious. What is more the immediate feeling that the financial centre let us down, that they were a bunch of greedy thugs, that they shouldn’t have been allowed to do this – that has been allowed to be dissipated. The government has been very reluctant to respond to that mood in the public, which was very strong at the time of the RBS crash. EL: But they’ve been unable to challenge the banks, all the same? CL: Unable or unwilling to. Why haven’t they challenged them? Because the economy has become so dependent on the financial sector. 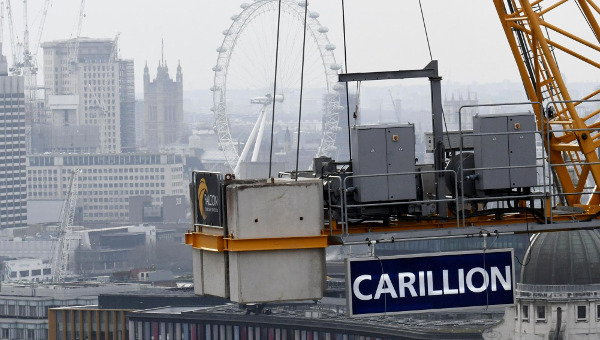 In this country it’s such a large part of the economy that any government confronts the risk that measures to regulate the financial sector more tightly could drive investors elsewhere – Frankfurt or some other financial sector would take business away from the City of London. You even have spokespeople for the City saying how terrible it would be to improve regulation because of all the jobs in the City that would be at risk. But that’s why Gordon Brown has always insisted that the needed re-regulation must proceed internationally. Recently as you know the IMF announced some new rules, which will have to be fought through against strong resistance from the investment banks and hedge funds and derivatives traders, above all in the United States. But what’s really interesting about that is that it’s taking place outside national governments, other than the U.S., altogether. And this is a fundamental question for us: whether our financial system should be in the hands of private owners, run for profit, and basically regulated in such a minimal way that they can take us to the brink of collapse at any time – or not. And that is not being settled in Westminster – it can’t be settled in Westminster – while at the same time the IMF and other international regulatory bodies have no democratic base. It’s when the impact of paying for the bail-out of the financial sector that caused the crash begins to be felt – when millions are out of work, when welfare is reduced and public services have been cut back – that we have to hope that people will return to the feelings of fury they had in 2008-09 and decide that the era of capital’s dominance of politics is no longer tolerable, that a new social project is needed to replace it. EL: This points to a crucial theme that has been running through this discussion, that we’ve yet to raise explicitly, which is the question of democracy and its relationship to all of this. Because what it sounds like you’re essentially describing is a process whereby national democracy has dramatically been hollowed out and undermined. CL: I agree completely with that and you’re seeing it in the present election. It’s fascinating that these things aren’t being discussed. John Lanchester had a very good piece in the Guardian , saying that he was looking to the third television debate between the party leaders, which has to touch on the question of what they will actually do in the way of cuts. So far we’ve had a smoke and mirrors election, in which people are talking about fairness and change, and not discussing what they will actually do to reduce public expenditure. Already Britain is paying above the odds for borrowing, and this will get worse unless major cuts are made after the election, yet we’re having an election in which this can’t be discussed. It’s a very revealing moment of a general truth, which is that governments have to respond to the bond market, and yet democratically they’re supposed to be responding to voters. The interests of the two are at variance, and therefore during the election they don’t talk about it. EL: So the rhetoric about the need for cuts and the need to reduce national debt, which is the mainstream economic consensus: are you basically going along with that and saying that external conditions do make this a reality, given the framework we have now put ourselves in? CL: Yes and no. I think the fact that people aren’t talking about taxation in the same breath as talking about cuts is another aspect of the same problem. If serious measures were taken to raise taxes on the financial sector in particular, this would also be read by the bond market as something that required them to seek more return for their investment, because some of their profit would be taxed away from them. It’s also significant that the idea of a tax on financial transactions, which is what the IMF is now talking about, is being mooted only an insurance fund against a future crash, and not as a means of raising revenues for the use of public need. Bankers and participants in hedge funds make obscene fortunes out of risky activities which are essentially a form of gambling, in the secure knowledge that if they fail, their shareholders will be saved by the rest of us. Yet the financial sector pays very little in tax. It is even VAT exempt. The huge bonus pools it accumulates are possible because the fees they charge ‘investors’ are very small, but the sums involved are so vast, and the frequency with which they change hands are so vast, that they produce stupefyingly large profits. A very small tax on these transactions could produce comparably massive contributions to government revenues. The financial sector insists that this is not so but their arguments are plainly implausible. EL: And do you see Britain as potentially being one of those countries? CL: Not at the moment, no. But I think we are at the beginning of a period of change. We’ve such a fragile economy. The U.S. can run an American political system, where power notoriously lies with money, and still keep 250 million people thinking they’re in a democracy, by a variety of means, partly profoundly ideological. There is that deeply-held American opposition to ‘the state,’ even though people depend on it for so many things. But it’s also a hugely productive economy, and it has the capacity to call the shots globally, which allows a large part of the population to consume and to fulfil their personal dreams, within limits. I don’t think we are in this position – we have become so weak economically, in terms of the productive sectors of the economy, and manufacturing in particular, that I don’t think that we can look forward to 25 more years of what we have had over the last 40. 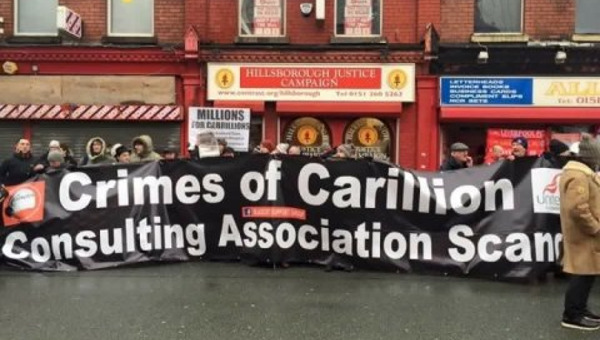 If huge cuts are made in public services it’s going to be very, very painful. I don’t think people are going to go on liking politics as we know it, if that’s the price to be paid. I think we might be looking at a very different political situation in 20 years from now. EL: But one in which there will have been opportunities for the left to step in and develop a different discourse and programme, potentially? CL: I would put it differently. I would say that we should stop thinking about ‘the left’ stepping into anything. This is – unintentionally I know, on your part – a hangover from a conception of the left as some kind of knowledgeable minority that can help the benighted majority. I think change will spring out of a variety of mobilizations in different sectors, with a new project, and we need a new left project, that’s for sure. I can’t imagine what dimensions it might have. I think that people are very long–suffering – there’s a tradition in this country of having a stiff upper lip and thinking it’s the way things are. But if things become bad, if people can’t realise their dreams at all, if their aspirations are cut harshly back, if there are deep divisions between those who are relatively affluent and those who are not, I think a different kind of politics is going to have to emerge. EL: And one which may have to take on an international dimension, if these are international issues? EL: And do you see any seeds of that in some of the activism and mobilization that is currently taking place? Obviously there are community responses to attacks on services in various places; the enormous energy behind Climate Camp and things like that. There is the sense that whatever you might call left activity and activism in this country is very disparate – I don’t know if you see signs of hope?